Goodbye, AUV. Until we meet again. The AUV is no longer my favorite thing on Shimada. As I write this, it is being dismantled and packed into shipping boxes for its return trip home to Maryland. To keep a long, sad story short, the AUV had a big electrical problem that was fixed, but when the scientists turned it on for a test run, a tiny $6 lithium battery broke open and oozed all over the motherboard. Game over for the AUV. So now my favorite thing on Shimada is the ice cream. Enough about science and technology for now. I bet you’re really wondering what it’s like day in and day out on board Shimada. 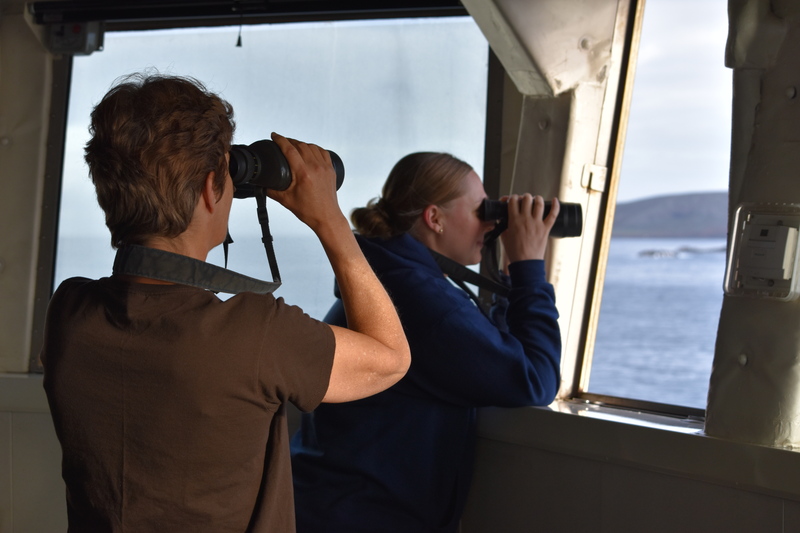 Well, my intrepid future NOAA crew members, this blog post is for you! We’ll start what’s most important: the food. Breakfast, lunch, and dinner are all served at the same time everyday. The food is prepared in the galley and everyone eats in the mess. 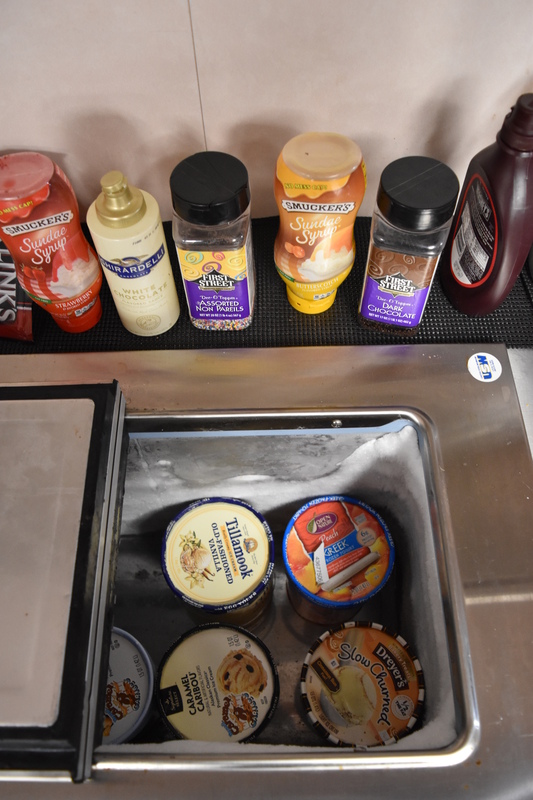 Beverages, cereal, yogurt, fruit, snacks, the salad bar, and ice cream are available 24 hours a day, so there is no need to ever be hungry. Not all ships are the same, however. In one of the many anecdotes told to me by master storyteller Fabio Campanella, an Italian research ship he once worked on served fresh bread and authentic pizza everyday…sign me up for that cruise! Next, you’re probably wondering where everyone sleeps. Sleeping quarters are called staterooms and most commonly sleep two people, although larger staterooms might sleep four. Each stateroom has its own television and a bathroom, which is called a head. As you can see in the photo, the bunks have these neat curtains that keep out the light in case your roommate needs to get up at 1 a.m. for the night-shift. 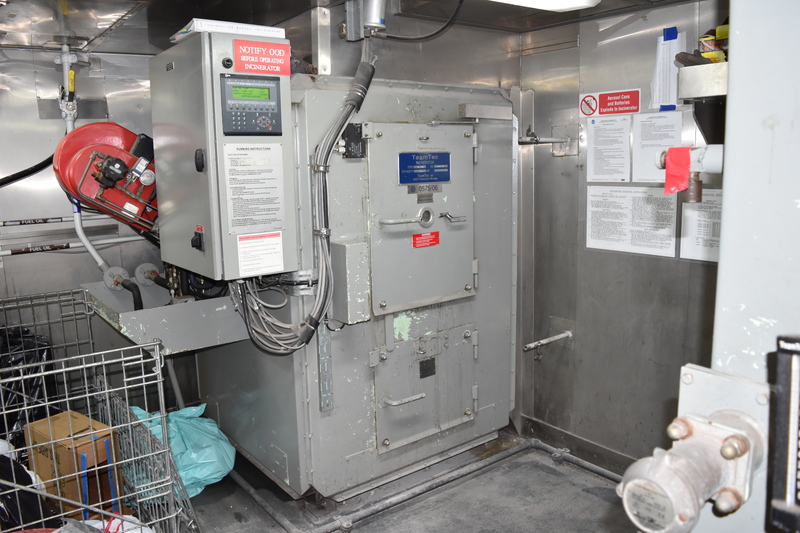 The Shimada has lots and lots of work and storage rooms, each serving a different function. There is a wet lab, dry lab, chem lab, and acoustics lab for doing SCIENCE (woohoo! 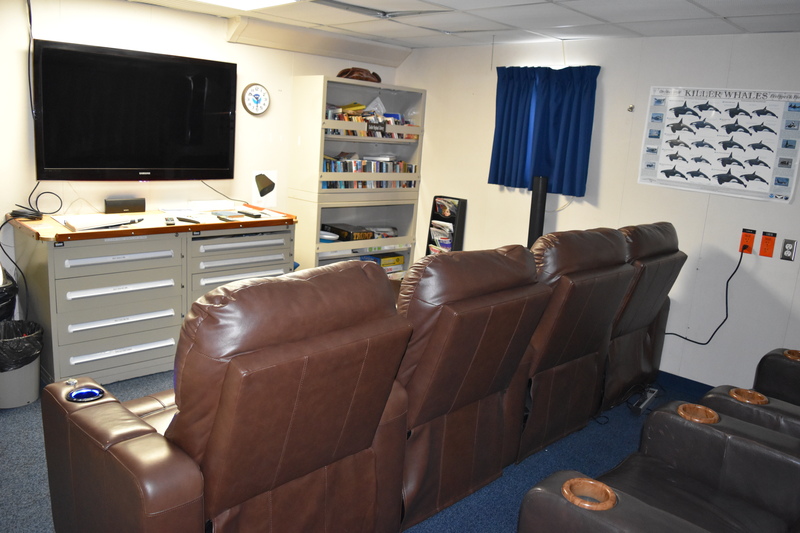 ), as well as a tech room for the computer specialist (called an ET), storage lockers for paint, cleaning supplies, and linens, plus other rooms full of gear and machinery. There’s also a laundry room, so you can take care of your stinky socks before your roommate starts to complain! Trash on board is separated into recyclable bottles and cans, food waste, and trash. The food waste is ground up into tiny pieces and dumped in the ocean outside of the sanctuary, while the trash is INCINERATED! That’s right, it’s set on fire…a really, really, hot fire. Ash from the incinerator is disposed of onshore. Another important part of the ship is the bridge. Operations occur 24 hours a day, so the ship never sleeps. Officers on the bridge must know what is happening on the ship, what the weather and traffic is like around the ship, and they must make sure to properly pass down this information between watches. 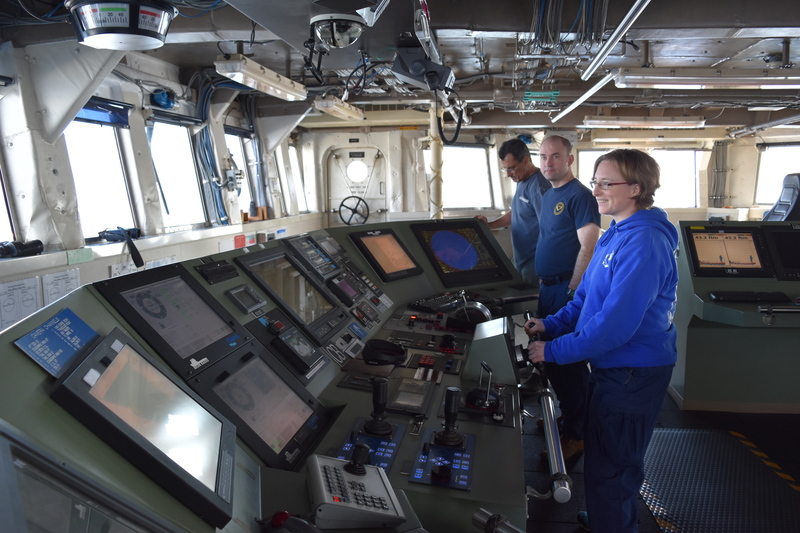 The bridge has radar to spot obstacles and other ships, a radio to communicate with other ships, and a radio to communicate with the crew and scientists. Last, but not least, is the lounge that comes complete with surround-sound, a big screen TV, super-comfy recliners, and about 700 movies, including the newest of the new releases. Wish this was my living room! A female elephant seal was once recorded diving underwater for two continuous hours (they usually stay underwater for 1/2 hour); the deepest recorded dive was by a male and was 5,141ft. 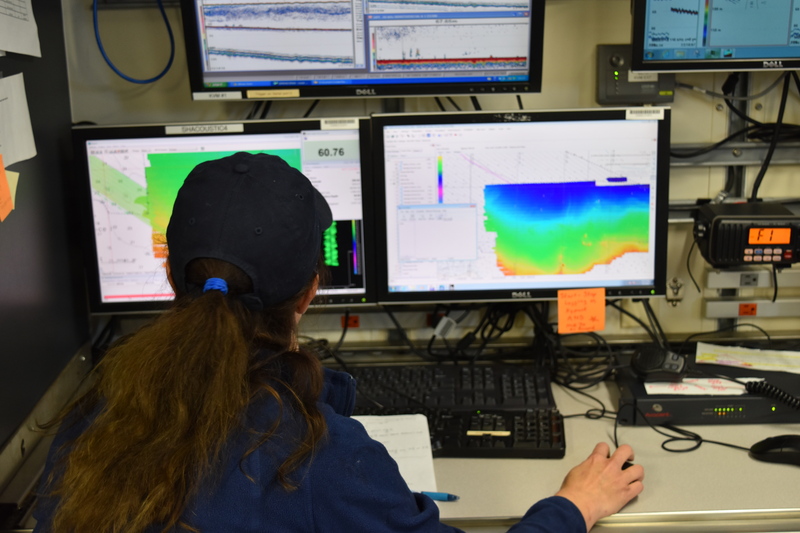 Stay tuned for the next post: Multibeam? You Mean Multi-AWESOME! 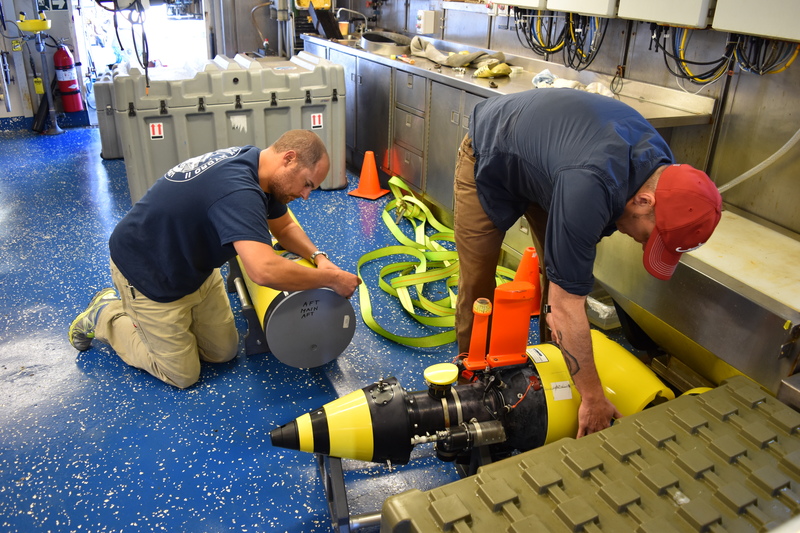 This entry was posted in 2016, Nichia Huxtable 2016, NOAA Teacher at Sea and tagged acoustics lab, AUV, channel islands national marine sanctuary, chem lab, crew, food, galley, incinerated, NOAA Ship Bell M. Shimada, wet lab. Bookmark the permalink.